A former dancer turned arts writer/critic living in Ohio, Steve studied ballet and modern dance with Arline Ashton Hay, Robert Steele, Patricia Heigel-Tanner and Kathy Short Gracenin. 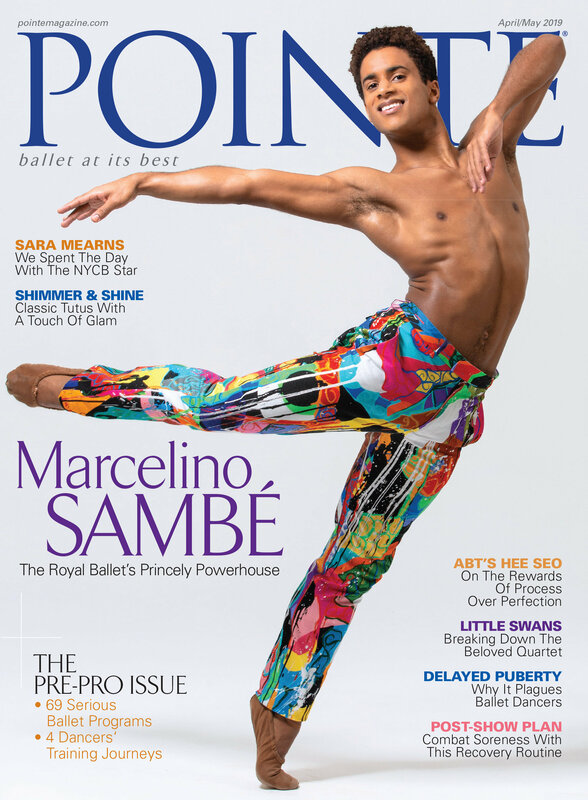 During his dance career he performed classical and contemporary roles sharing the stage with noted dancers Robert LaFosse, Antonia Franceschi, Stacy Caddell, Joseph Duell, Robert Wallace, Sandra Brown and Mikhail Baryshnikov. Steve has a degree in Communications from The Pennsylvania State University and is Chairman Emeritus of the Dance Critics Association; an international association of dance journalists. His writing credits include articles and reviews on dance and the arts for a number of regional, national and international publications. Victoria Morgan pushes dancers' boundaries in the studio. Jennifer Denham, Courtesy Cincinnati Ballet. Victoria Morgan's normally bright smile is even brighter entering her 22nd season as Cincinnati Ballet's artistic director. That's because the 55-year-old company is in the best shape it has ever been: Attendance, ticket sales and the company's annual operating budget are at all-time highs. But the road to Cincinnati Ballet's current successes required an early revamp in Morgan's thinking about programming. When she took over leadership in 1997, the former San Francisco Ballet dancer had trouble accepting that the company simply didn't have the budget for her ideas about duplicating the repertoire she was used to. The Standouts of 2018: BalletMet's Grace-Anne Powers in "Giselle"
Powers with William Newton in Edwaard Liang's Giselle. Photo by Jennifer Zmuda, Courtesy BalletMet. While its minimalist costuming and sets gave Edwaard Liang's new Giselle for BalletMet a nontraditional look last February, there was nothing spartan about Grace-Anne Powers' performance in the title role. Powers' radiant smile, warmth and happy disposition made Giselle's betrayal by Albrecht (danced by William Newton), and her subsequent death of a broken heart, a real tearjerker. She had you believing that an entire village could, indeed, love her. Karen Gibbons-Brown coaching the company. Photo by Jeffrey Crane, Courtesy Fort Wayne Ballet. Anonymity has its benefits, says Fort Wayne Ballet executive and artistic director Karen Gibbons-Brown: "We are tucked in the Midwest and one of the beauties is you get to fly under the radar and experiment in a way that you don't get to in a larger place." While that may have been true in the past, Indiana's Fort Wayne Ballet is now making moves toward greater visibility. As an organization, FWB is entering its 62nd year, but it has only existed as a professional dance company with full-time, contracted dancers since the 2010–11 season. Prior to that, the organization's on-again, off-again performance company hit its heights under Michael Tevlin's tenure as artistic director (1981–94). When Gibbons-Brown arrived in 1998, the organization and its affiliated school, the Auer Academy of Fort Wayne Ballet, were in distress. But the former dancer with South Carolina Chamber Dance Ensemble, Bristol Ballet and Theatre Ballet of San Francisco says part of why she came to Fort Wayne was that "it is a community rich in the arts and there was a lot of opportunity." From left: Liang Fu, James Kirby Rogers, Amanda DeVenuta and Lamin Periera dos Santos. Photo by Kenny Johnson, Courtesy Kansas City Ballet. "Toto, I've a feeling we're not in Kansas anymore," Dorothy famously announces in the beloved 1939 film The Wizard of Oz. Kansas City, Missouri, rather, is where audiences will find Dorothy this fall. October 12–21, Kansas City Ballet presents the world premiere of choreographer Septime Webre's The Wizard of Oz at the Kauffman Center for the Performing Arts. A joint production with Colorado Ballet and Royal Winnipeg Ballet, Webre's million-dollar-plus production pulls storylines from the familiar film as well as from L. Frank Baum's 1900 book The Wonderful Wizard of Oz. Special effects, including eye-popping projections, will help bring the story to life. "Monkeys will fly, munchkins will roam, and Dorothy, Toto and the gang will once again be following the yellow brick road to the Emerald City," says KCB artistic director Devon Carney. Sailers, with Brett Sjoblom in Heather Britt's Claudette, is a true up-and-comer. Photo by Heather Thorne, Courtesy Nashville Ballet. With the magical allure of a firefly against the night sky, Nashville Ballet's Imani Sailers displayed flashes of brilliance in Heather Britt's bendy, breezy contemporary pas de deux Claudette. It's fitting that this breakout moment for Sailers came during last season's Emergence series: Her performance proved why she is a true up-and-comer in the company. Samantha Griffin in Balanchine's Serenade. Photo by Peter Mueller, Courtesy Cincinnati Ballet. Intensity is Samantha Griffin's modus operandi, whether she's self-reflecting on an unhappy, gilded existence in Garrett Smith's Facades or violently whipping a metal chair into the wings in artistic director Victoria Morgan's Black Coffee. The 23-year-old Griffin puts all of her flexible 5' 8" frame to use in contemporary movement, which she prefers. "It fits my body well," she says. Yet she's also given dazzling performances in more neoclassical roles, including the Tall Girl soloist in Balanchine's "Rubies" and the Dark Angel in his Serenade. James Sofranko in Paul Taylor's Company B with San Francisco Ballet. Photo by Erik Tomasson, Courtesy SFB. James Sofranko, longtime San Francisco Ballet soloist, will succeed Patricia Barker as Grand Rapids Ballet's new artistic director, effective July 1. Sofranko topped a list of 40 applicants from around the world to become only the fifth artistic director in GRB's 47-year history. The 38-year-old will continue his work with SFDanceworks, the Bay Area contemporary ballet company that he founded in 2014. Pointe spoke with Sofranko about his transition. Had you been actively seeking an artistic directorship? In a way. I had applied to two other places before to sort of test the waters. With my career at SFB nearing the end, I began thinking about it more and got excited about what I could potentially bring to a company such as Grand Rapids Ballet. Joffrey Ballet dancers Christine Rocas and Dylan Gutierrez in "Giselle." Photo Courtesy Spring to Dance Festival. For the first time since its inception 11 years ago, Dance St. Louis' annual Emerson Spring to Dance Festival — May 25 and 26 at the University of Missouri–St. Louis' Touhill Performing Arts Center — will be curated by someone other than festival founder Michael Utoff. That job fell to newly hired programming consultant Terence Marling. Hailed as "arguably the best dance buffet in the Midwest" by the Chicago Tribune, the popular festival is known for championing lesser-known regional dance artists and companies. It will retain that focus under Marling, along with representation by more familiar names such as Houston Ballet, Joffrey Ballet and Marling's former company, Hubbard Street Dance Chicago.